Are you going to take Asian wedding photography? Remember that wedding ceremonies in Asia follow ancient customs and usually are full of bright colors, sights, and sounds. I mean, if you are hired to take Asian wedding pictures, don’t forget to learn about Asian culture as much as possible and follow the latest trends in Asian wedding photography. So, let’s talk about them below. Each wedding photoshoot is beautiful in its own way. No matter whether it is a traditional Asian wedding or a church ceremony, it is usually followed by a great celebration organized for a newly married couple and guests. Not a single wedding goes by without great happiness, shaking hands, quick glances, and, of course, tears. Therefore, the main task of Asian wedding photographers is not to miss these precious moments. Chinese wedding photographs differ from traditional Asian wedding pictures. It is interesting to know that Chinese wedding pictures are usually taken before the ceremony itself. As a rule, photo sessions even occur months in advance. The thing is that Chinese wedding ceremonies are planned according to their cultural customs and traditions and there is no extra time for impulsive marriage photos. Like other celebrations, Chinese traditional weddings involve toasts from almost every guest and it requires much time. Since Chinese weddings are shorter than European and American ones, time for posing is also restricted. Therefore, couples usually pose for hours beforehand changing locations and poses in order not to waste valuable time during the wedding day. Sikh wedding photographer should necessarily understand Sikh traditions and respect them. Sikh weddings usually last for two or more days. The Kumari, an engagement ceremony, takes place on the first day. Then the celebration continues with a vivid wedding party including bright dances. Unlike Asian photography in general, Sikh wedding photography doesn’t require extra objects or essential image retouching. During the typical Sikh ceremony, the groom with a sword arrives on the decorated horseback meeting the families and the bride. Consequently, a photographer is provided with a great opportunity to take excellent photographs preparing the romantic wedding photo story. Watch the course about Wedding Portraits – Classical Lighting and Posing Techniques to work fast with your models at wedding photoshoots. Like other Asian wedding ceremonies, a Muslim wedding involves a great number of different traditions and rituals. Still, if you look through the pictures of Muslim weddings shared on social networks and compare them with Indian wedding photography you will see that they are not as exciting as typical Hindu weddings. The reason for this is the fact that Muslim ceremonies are rather short including the Nikahnama, a marriage contract signed by the bride and the groom. Muslim weddings vary greatly due to cultural differences. I suppose that the most appealing aspect of each Muslim wedding is certainly the color. Each Indian wedding photographer may boast of especially colorful pictures. Moreover, the Savaqah should be also captured by the photographer. It is a beautiful procedure of showering the bride with coins. It is certainly brighter than typical confetti. Undoubtedly, rich culture and ancient traditions of Muslim weddings provide photographers with an opportunity to take superb photographs enjoying the process itself. Multicolored clothes, skillful dances, and special glow are the core representatives of Indian wedding photography. Thanks to its rich traditions, Indian weddings usually have some exceptional allure. So, in order to succeed in their work, best Asian wedding photographers should understand Indian culture and lifestyle. As a rule, Indian wedding photography is characterized by traditional portraits and poses. Due to its soulfulness and sincerity, traditional Indian wedding photography stands out from other styles. It is centered on real feelings and sincere emotions of the newly wedded couple and their guests. Learn more about Indian wedding photography, its traditions, and what photographer should do during the ceremony to take amazing photographs. Speaking about Indian wedding photography, I can’t omit an artistic style. It gives much prominence to decorations and special details. With the help of details, a photographer creates a unique love story depicted in photographs. One more style that is well-known in Asian wedding photography is undoubtedly a dramatic one. It is intended to demonstrate sensitivity, take a unique photo showing wishes and feelings. As for the documentary style in Indian photography, it is not focused on poses. The main idea here is to produce an impressive wedding story. The main event that should be captured by the photographer during the ceremony is the Saat Phere. It involves seven rounds around a sacred fire. The newlyweds pray for plenty of nourishing, good health, wealth, love and respect, their future children, peaceful long life with each other, and understanding between themselves. Get professional and high end wedding photo editing services for about $5 per photo. Send you wedding photos to FixThePhoto and receive edited photos back fast to meet all your deadlines. Moreover, a photographer should also take pictures of wedding games as they are an essential element of the Hindu ceremony. These games are usually played by the Bride and the Groom and are full of laughter and excitement. It is my favorite part of the Indian wedding since participants face different challenges and it is a great source of candid wedding photographs. Frankly speaking, the most impressive thing about a Punjabi wedding is the number of guests. The truth is that on this day the local society blesses the newly married couple for their long lives together. Therefore, thousands of guests may come to the ceremony. The bride puts on luxurious clothes and first-rate jewelry. She will have a great number of pieces on. As a rule, a Punjabi wedding should correspond to the highest level in everything. View more about how to take wedding dress photography or wedding cakes photography at Asian weddings. Read these guides about getting perfect photos to meet all customers’ requirements. The venue of the ceremony is necessarily decorated with colorful silks and flowers hanging from everywhere, and bright lights. Moreover, not a single wedding goes by without fireworks and pyrotechnics. You may also observe statues and big urns. I believe that Punjabi imagination is limitless. Finally, I can’t agree more than a Punjabi wedding is an example of richness and prosperity. Food and entertainment are also terrific. In other words, describing a Punjabi wedding I may certainly state that there is no limit to perfection. Check out the following wedding photography styles that will help you lay out priorities and give your wedding images a specific mood and charm. This particular wedding photography style looks like a real documentary film focused on the overall wedding atmosphere and remarkable moments. A photographer is supposed to follow the newly married couple during the celebration. Undoubtedly, it is a perfect style for those who are interested in sincere and touchy photographs and want to have an overall coverage of their wedding. If you like reading books, I recommend you this one about wedding photography basics to make money providing photography services. You will find out about photo equipment, shooting tips, marketing recommendations, etc. Traditional wedding photography style is usually represented by couple or family portraits and group photographs. The idea is to capture the most important scenes of the ceremony. Typically, during celebration a particular amount of time is dedicated to taking all classic shots. As a result, a couple is satisfied and a shooter may boast of a selection of traditional wedding shots. The artistic wedding photography style has recently entered the photography industry and becomes extremely trendy. A photographer usually incorporates different extra objects to create specific atmosphere and tells the wedding story with special allure. If you are sick and tired of traditional photographs, this style is certainly for you. This wedding photography style is generally aimed at portraiture. The photos are basically printed for advertising wedding destinations, cafes, attire, wedding services, etc. Most traditional Asian weddings are intricate, flashy, and incorporate dozens of interesting and romantic customs native to a specific area. Many couples prefer to find a photographer who is already acquainted with the local traditions and the general atmosphere of the celebration since a professional has to constantly keep in mind dozens of things to make everything successfully. Look at this straightforward list of 10 tips that can make the life of beginning Asian wedding photographers easier. By studying all the essential traditions and customs, you can better prepare for the photoshoot. Talk with your couple and their families about the ceremony and what thing have to be captured. Photographers should always learn as much as possible about the venue of the ceremony and go to it personally to get the lay of the land. This is a good chance to understand what photography light you need to take with you at a wedding. By keeping all the must-have gear at hand, you can be sure you won’t miss a special wedding moment when searching for a lens or a spare battery. If you just beginning to collect your wedding photography gear, view more about the best cameras for wedding photography you can buy for affordable prices. If your camera makes sounds when taking photos, disable them prior to the shoot. Having a random beep interrupt a toast or wedding kiss would be embarrassing for everyone. Having a spare camera allows you to switch between two different lenses without wasting time. I recommend having a wide-angle model for situations when you’re limited in space, and a prime lens. Using a telephoto zoom lens is a viable option as well. I know a couple of photographers who like to review their photos on the go and instantly delete any pictures they don’t like. The risk of such an approach is that you can accidentally delete unique and viable photographs. Throughout the ceremony and reception, the photographer has to be near the newlyweds to ensure he/she captures all the special moments of the day from the best angles. Don’t be afraid to get creative with some shots since the majority of the wedding album will look quite formal anyway. Some candid photos and unique shooting angles can help better convey the festive and fun atmosphere of the wedding. This tip is obligatory for professionals interested in Asian photography. The event moves at such a quick pace that there’s no way a single person can capture all the activities and moments by himself/herself. You should always try to incorporate the ideas and wishes of the happy couple to ensure their wedding album looks the way they want to. Before starting to offer wedding photography services check out your competitors and best photographers in your area/genre. I’ve gathered 10 best Asian wedding photographers for inspiration. Jermaine Chandra is a popular Indian wedding photographer based in England who’s always trying to unleash his full creative potential. Jermaine strives to shoot the entire event without missing a beautiful moment or important detail. Simultaneously, being an Asian wedding photographer, he tries to convey the sincere and unique nature that such events are loved for. J Dhillon is famous for approaching wedding shoots as a modern-day photojournalist while simultaneously adapting to the needs of each client. As one of the best Asian wedding photographers, he’s famous both inside and outside England. Dhillon’s style is known for capturing the most memorable and emotional moments of every wedding with professional lighting. Each shot displays his deep understanding of local cultural values. Kunaal currently resides in London and is famous for his Hindu, Tamil, Muslim, and Sikh ceremony shoots. 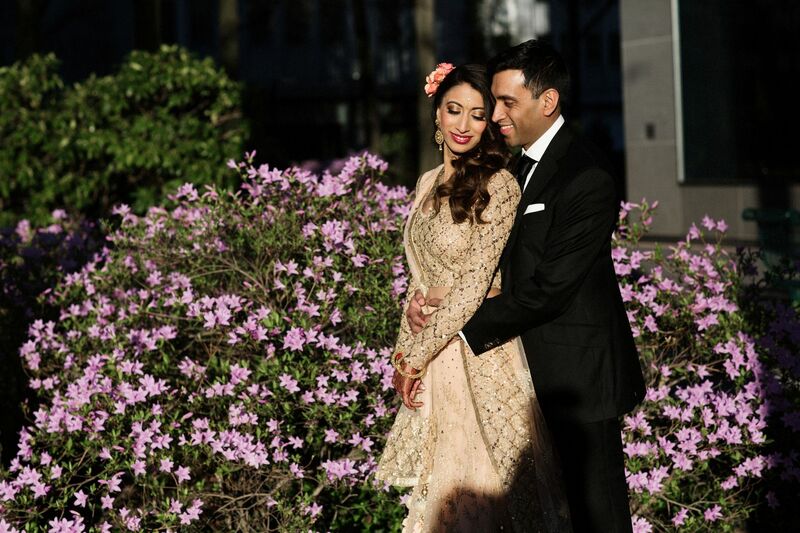 You can easily tell he is obsessed with Asian wedding photography as Gosrani spent the last nine years taking breathtaking wedding photos of newlywed couples regardless of their religion. He especially likes to capture moments that convey sincere feelings, tenderness, and energy as these themes define his work the best. Erum is one of England’s most renowned photographers having won prizes for her work in both London and Manchester. Rivzi currently resides in Washington and is mostly known as an Indian wedding photographer (including Muslim, Hindu, and Sikh ceremonies). She travels all around the world but mostly does her work in NY, Philadelphia, LA, New Jersey, and the UK. If you’ll look through her portfolio, you’ll be amazed by the number of colors, smiles, emotions, and tears you’ll find. Some of Erum’s photos focus on highlighting emotional and dynamic scenes, while others are stylized as documentaries to showcase the individuality of the bride and groom. Jorge is a brilliant wedding photographer famous for his documentary style. You can clearly see his photojournalism and art backgrounds shine in his wedding photos. Thanks to his past professional experience, Santiago always manages to capture the crucial moments of each event, while telling a coherent, beautiful love story. Even though he’s currently residing in Pittsburgh, Jorge offers his services worldwide. Currently, Opu Sultan constantly moves between Scotland and England, while also traveling all around the globe due to his busy schedule. He offers a unique documentary approach when it comes to shooting weddings, giving preference to taking photos of spontaneous moments rather than artificially setting up scenes. He is famous for candid pictures that show sincere emotions without the subject even thinking about posing. That being said, Sultan does have his fair share of group and family photos too as some posed shots are obviously necessary for the wedding album. This elite pair of wedding photographers resides in London and is known for working on producing Sikh, Hindu, Muslim, and Pakistani wedding photography in the UK, while highlighting both the cultural beauty and interpersonal relationships of the weddings. Sikh & Dread were the original Asian wedding photographers who incorporated a photojournalistic approach and added hand-drawn backdrops that create a truly one-of-a-kind feel. They are a great choice for anyone who wants more than the traditional wedding package. This top-class wedding studio offers the services of both photographers and videographers and is based in LA. Their approach is largely inspired by photojournalism, and it incorporates artistic and fashion-related themes. Thanks to such a cool mixture, the studio produces unique, professional, and eye-catching wedding photographs that mostly feature romantic, funny, and sentimental moments. Allister is a critically acclaimed professional who works both in the United Kingdom and abroad, but only accepts a limited number of yearly orders. His wedding photography style is commonly defined as documentary or reportage, which are both closely related terms. Freeman strives to avoid directing his subjects or forcing poses onto them. Instead, he observes everything silently and immortalizes significant and romantic moments that occur around him. 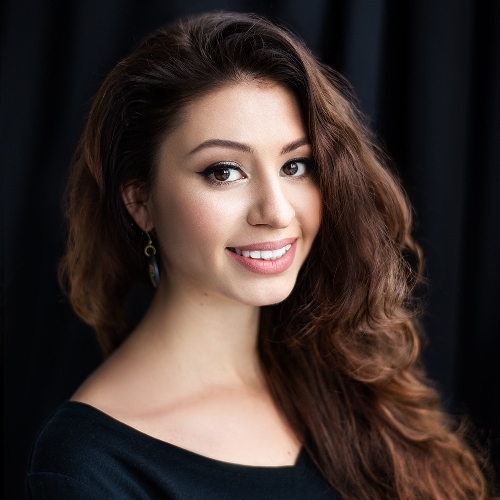 Ali is commonly mentioned among the United Kingdom’s most prominent Asian wedding photographers as he worked at events of all possible Asian cultures. Zohaib’s portfolio features works from all around the world including Africa, NA, and Europe as he constantly receives praise for his unique approach and emotion-evoking photographs. Thanks to the creativity, dedication, and attention to the clients’ needs he demonstrates, Ali managed to win several prizes for his work both on national and international levels. 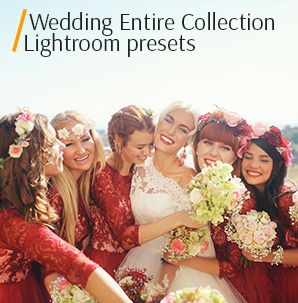 To make photo editing and color correction easier, I’ve gathered 5 Free Asian wedding photography plug-ins for Lightroom and Photoshop that you can download free right here. 1. Free Wedding Preset "Contrast"
I use this option whenever I need to make Asian wedding pictures more vibrant and contrast to give them a captivating and more refined look. Wedding dress become snowy white but still look not oversaturated. It’s one the best and universal free actions for editing portraits as the Burn filter adds a subtle darkening that allows you to accentuate and underline the model’s most notable facial features as well as make the face brighter and clear. 3. 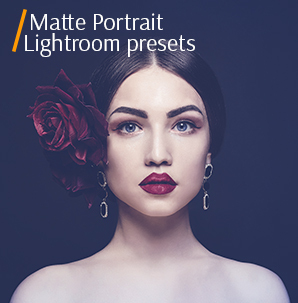 Free Lightroom Preset Portrait "Matte"
Portrait photographs enhanced with this beautiful preset have an endearing, vintage feel. Moreover, the original colors remain practically untouched. Highly recommended for wedding portraits with flowers. 4. Free Photoshop Overlay "Lights"
You can use this bokeh overlay to add a warm, dreamlike backdrop to your Asian wedding photos and make them eye-catching and romantic. 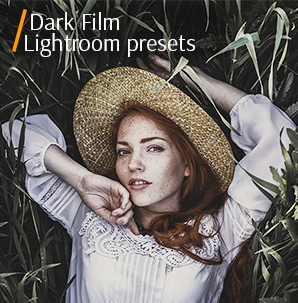 Moreover, this tool will create the impression that the photographs were taken with a high-end lens thanks to the applied soft light. 5. Free Photoshop Action "Cleaning Eyes"
If you want to increase the effect of this action, duplicate the group containing it, but don’t forget to lower the transparency. This way, the whites of the model’s eyes will still look natural and have the shadows that provide the needed volume. If you’ll overdo this action, the eyes will seem flat and empty.